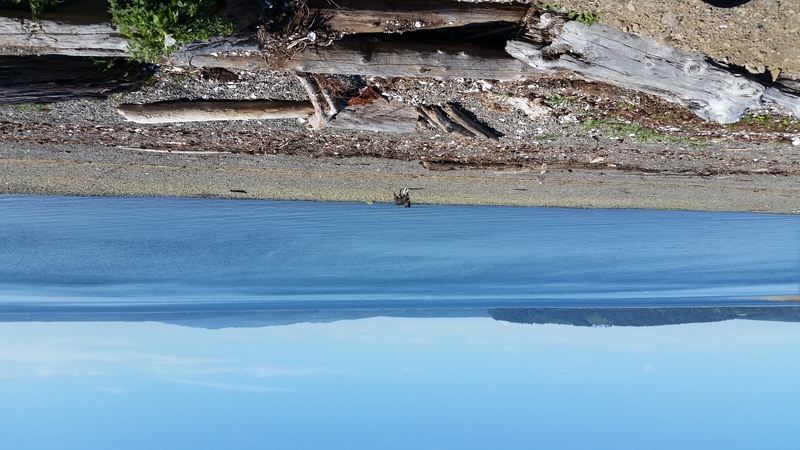 Kayak Brinnon is located on shores of the Hood Canal on Yelvik’s Beach. Yelvik’s Beach is located at 251 Hjelvicks Rd & Highway 101, next to Yelviks General Store. Kayak Brinnon is open May (Thur – Mon) and June through September everyday. For October through April rentals and tours call at least 24 prior. Yelviks General Store is open 9 to 5 throughout the summer. Please contact the Yelviks General Store for their winter hours. Yelvik’s Beach is a great place to camp, picnic, launch a boat or kayak, and even swim! Day use fees are $5 per carload. The day use fee is waived for Kayak Brinnon customers. Campers and day visitors will enjoy waterfront camping; BBQ grills; fire pits; picnic tables; and benches. Porta-potties are provided during the summer. The beach also offers opportunities for large groups and events. Large groups can also be accommodated for kayaking as we have 25 seats including single and tandem kayaks. 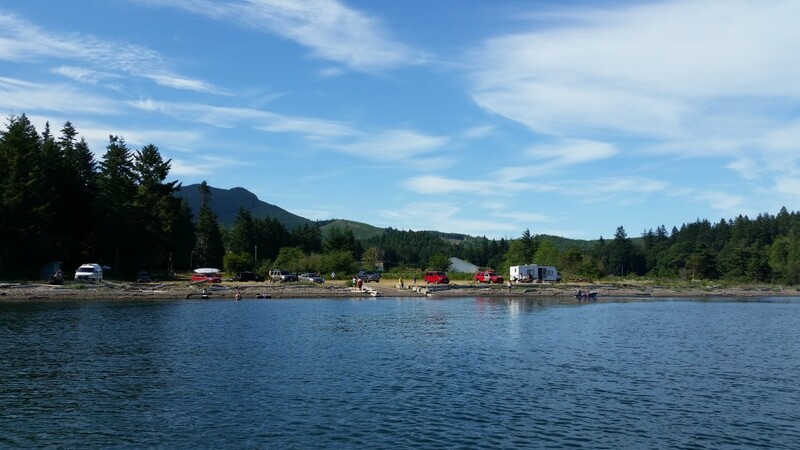 For more information on Yelvik’s Beach and beach events call the Yelviks General Store at 360-796-4720. You may also contact them via their Facebook Page. For kayaking groups contact Kayak Brinnon. From our location at Yelvik’s Beach there are many nearby paddling destinations to visit including the Dosewallips Estuary, Pulali Point, and kayak-in camping spots such as Seal Rock Campground and Broad Spit. We will help you pick a route based on your skill, time frame, and interests. We can also help you plan a kayaking camping adventure! We invite you to join us for fun on the water and to explore this world class destination on the Olympic Peninsula’s Hood Canal. Yelvik’s Beach – A popular swimming, boating and camping spot! 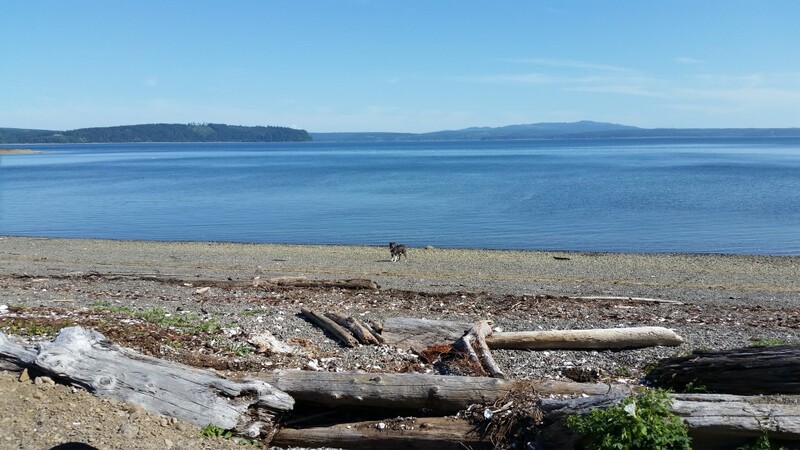 Bring your swim suit, lunch and the pups and enjoy beautiful Yelvik’s Beach!